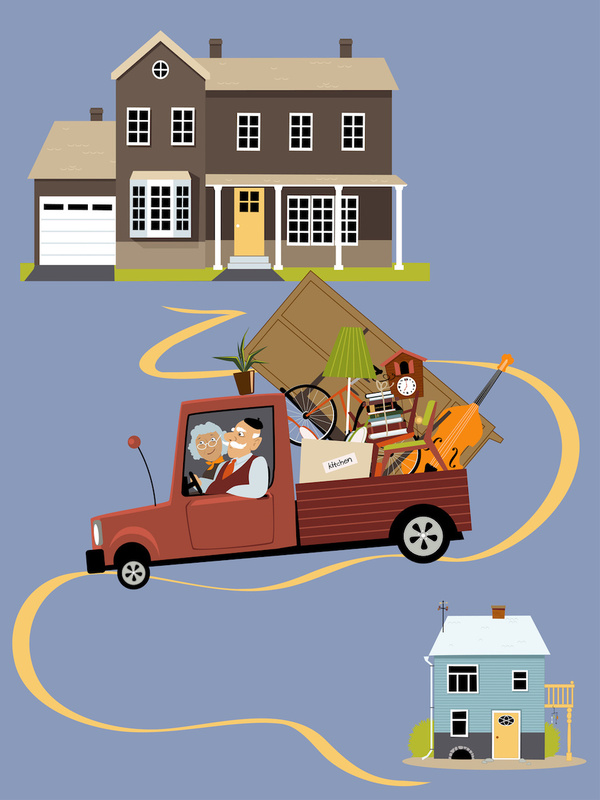 Homeowners may start thinking about downsizing for a variety of reasons. Maybe members of a family have moved out and a big house feels empty or daily household chores have become too time consuming because there’s just too much to take care of. There are many advantages to purchasing a smaller home, and here are 7 of them that all homeowners should know. Between mortgages and utilities, the larger a home, the larger the subtotal on the monthly bills. Everyone loves saving money, and downsizing can help save several hundred dollars or even more every month on the mortgage alone depending on the new home. Smaller homes also use less energy, so homeowners don’t have to worry about paying unnecessarily high heating bills just to stay warm during cold winter nights. The larger a home, the more care it needs. Dusting, vacuuming, and mowing the lawn are all time consuming chores that take even more time in a large home because there’s so much more to do. While downsizing doesn’t make the chores go away completely, it does make those chores smaller and more manageable so the homeowners have more time for other things like spending time with friends and family or having fun doing hobbies—on Stinson Beach or elsewhere. Not only do smaller homes have lower utility costs, but they’re also far greener than large homes. Small homes use less electricity, natural gas, and energy than larger homes, so not only are utility bills less expensive, but the home’s carbon footprint is smaller as well, meaning a victory for the homeowner’s bank account as well as the environment. A home that is small has a big chance of being affordable when compared to large homes, and affordable homes are accessible to a larger pool of home buyers. As McMansions go out of style and people become more financially and environmentally conscious, small homes are more appealing than they have been in decades. When it does come time to sell the home, homeowners may find that their small home is easier to sell than the large home they downsized from. Smaller homes are cozy and have small lawns. This means having more chances to meet the neighbors and strike up conversations and create friendships. Inside the home, fewer rooms and less space mean more opportunities for the family to come together to bond. When lives are so hectic and busy from dawn until dusk, it’s important to remember to leave a little time for socialization, and it can be difficult to do that in large homes that can encourage isolation. With a smaller home, homeowners may find that they don’t buy as many things because they’re forced to be conscientious of the available space. Small homes don’t require as much furniture, and with limited storage, homeowners can use the money they save to go toward things like family vacations and experiences that will be remembered for the rest of their lives. Less space means less furniture, and that means homeowners are forced to part with their clutter and instead keep only the essentials. For homeowners who love organizing and decorating, this can be a great experience to try out new styles and strategies that have become popular in recent years. These have been seven different reasons homeowners should consider downsizing their home. From saving money to saving time, downsizing can really be a helpful change for homeowners and their families.